If you're planning on a lot of backpacking and need some lightweight packable warmth for your pups during those chilly nights, a dog sleeping bag is a must-have item for your next adventure trip. Read our non-technical sleeping bag buying guide and take a look at our top picks for your pupster suitable for both winter and summer camping trips. Our guide is to help you choose which sleeping bag is right for your dog. Where will you use the sleeping bag? There are some key considerations to give when choosing which dog sleeping bag you'll need. What sort of temperatures will you be camping in? What is the maximum weight of the camp beg since you or your dog may carry it for long periods of time. You'll need to find a balance between the right amount of insulation and weight. If a bag uses synthetic filling, then in principle it should be both warm and lightweight. If there is no insulation, to get it to the same temperature rating it means you'll need more insulation (sleep mat), meaning it may not be as light. For a day trip or using it in your back yard, the weight and pack size probably isn't going to a major concern as you won't be hiking for days on end or will have space in the back of a car. Whereas if you're looking to go backpacking or hiking with your pet over several days then weight will be a crucial element since it will have to be carried on every day. Ideally you need something lightweight, between 1-2 lbs to be able to hike comfortably. TIP: Weight and bulk doesn't necessarily mean a warmer dog sleeping bag/bed since the quantity and quality of the insulation, as well as the design of the bag, may not be as effective as others. For other adventures that you can do with Fido together, see our article on the ultimate guide to kayaking with your dog. The main insulation found in dog sleeping beds is synthetic. Synthetic insulation uses various sizes of polyester fibers interwoven to help replicate the effects of down. These fibers trap the heat and keeps your dog warm, even during wet conditions. A polyfill high loft insulation sleeping bag is recommended for dogs with arthritis, older dogs and also pups who may not be fully potty-trained. Synthetic bags retain most of their insulating properties, are machine washable and dry quickly too. That makes them easy to maintain and are incredibly durable. Sleeping bags for dogs come in all shapes and sizes to suit all kinds of dogs size and breed and sleeping positions. To retain their heat, the less empty space there is in the bed, the more effective it is in retaining its warmth. Find a balance between having sufficient space for comfort and being warm. Luckily there are sleeping bags designed for all breeds so there is something for everyone. 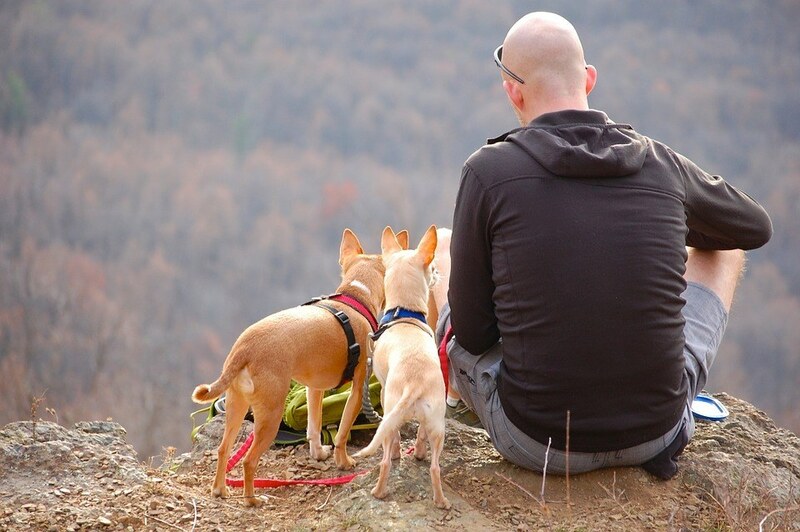 Taking your dog with you backpacking or car camping is a great bonding experience, not to mention a great way to exercise (for both you and your pooch) and have some serious fun in the great outdoors. Dog sleeping bags follow the same principal as human designs. A choice of down or synthetic dog sleeping bags are available, however due to it’s ease of maintenance, synthetic insulation is the better preferred choice among dog owners. Sleeping bags come in different sizes to accommodate medium and large dogs. Some dog sleeping bags are made with a hole for your dog to poke it’s head out. Still others have a zipper or two (on both ends) just like a regular sleeping bag. A contoured design like Hurtta Outback Dreamer imitates a dog's natural sleeping position can help to reduce empty space helping to keep your dog’s legs and paws warm and cozy. 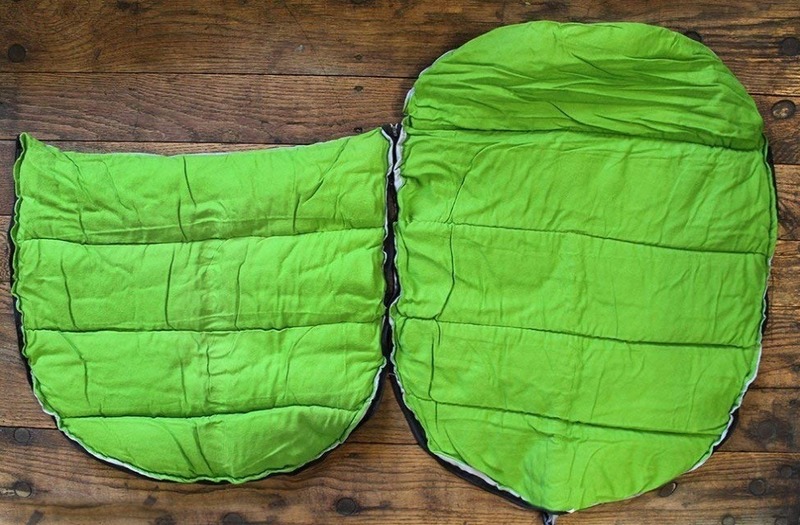 The underside of some dog sleeping bags have a small pocket which comes in handy to accommodate a small sleep pad to provide additional insulation from the ground. A zip may well seem obvious in a sleeping bag but the type of zip is important to consider. Do you want two zips one at the bottom and one at the front? How long is the zip and is it a two-way zip that can offer ventilation? Do you want it to be zipped together? Does it have a wide opening zipper to accommodate large breed dogs? Can you zip off the top (is the top removable) ? A heat-reflecting foil inside of the lining, gives the dog sleeping bag significant warmth for your dog during winter camping. In the case that the sleeping bag is not waterproof you should use a water proofing agent on the outside (never use such an agent on the inside where your dog will be breathing potentially). This will help with moisture absorption. If outdoor camping and weight isn’t an issue ( i.e. car camping) consider getting an enclosed fold up outside doghouse like Alcott's Pup Tent. It will make the whole experience a little more comfortable for your dog but particularly a dog with anxiety - since they like a safe, secure place to rest. 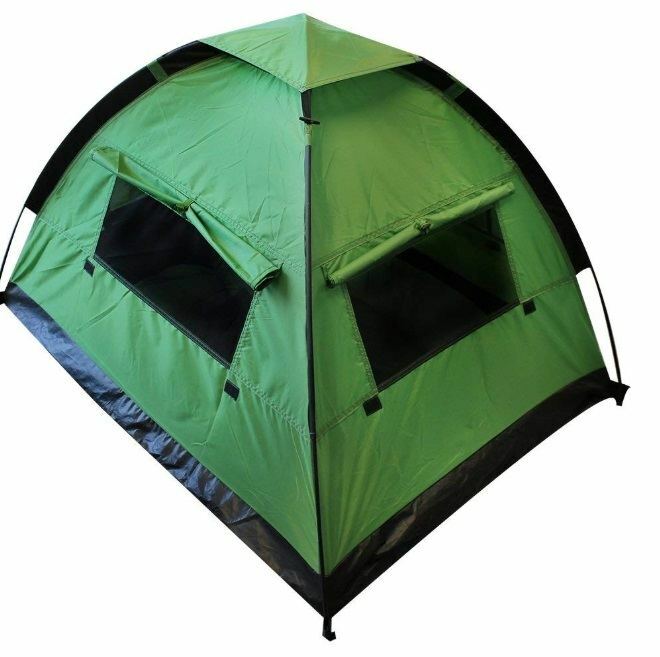 A camping tent for your dog comes in handy especially during winter camping trips when your pups get wet or dirty. If you're buddy suffers from separation anxiety learn more about how to handle it in our guide on 5 ways to help ease dog separation anxiety. Use a sleeping mat to act as a barrier between the cold ground, your sleeping back and your pup. It doesn’t have to be anything fancy, a foam roll mat, a crate pad or a blanket – anything that’ll make spending the night in the great outdoors more comfortable. Finally before we delve into the best sleeping bags for your pet, and are worried about your puppy urinating on his brand new bed during your first camping trip check out our guide on how to handle puppy potty training regression. 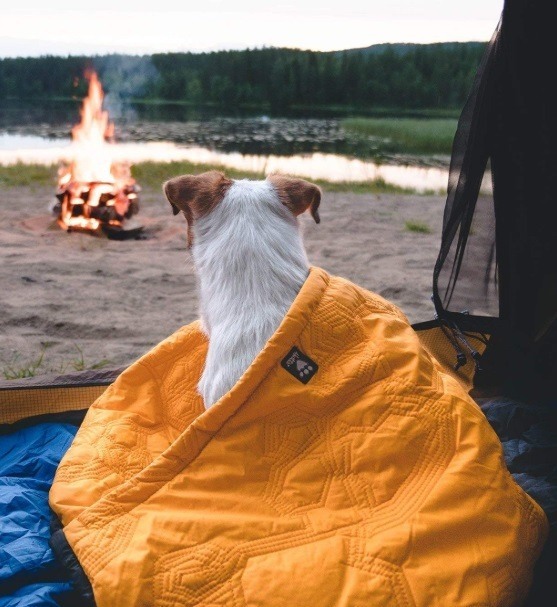 If you’re ready to explore the wilderness with your buddy with a night under the stars, a comfortable rest from your epic adventure is paramount not only for you but for Fido too. Our range of dog sleeping bags (and travel beds) offer your pup a warm, safe and comfortable place to lay their head. These top picks are not merely glorified dog beds made of sleeping bag material but actual rough-terrain resistant and waterproof dog camping sleeping bags. This travel dog bag comes packed with functionalities to keep your dog warm and comfortable during both summer and winter camping days. It rolls up nicely to a compact size, so you have less worry of how to carry it around and comes with a stuff sack. 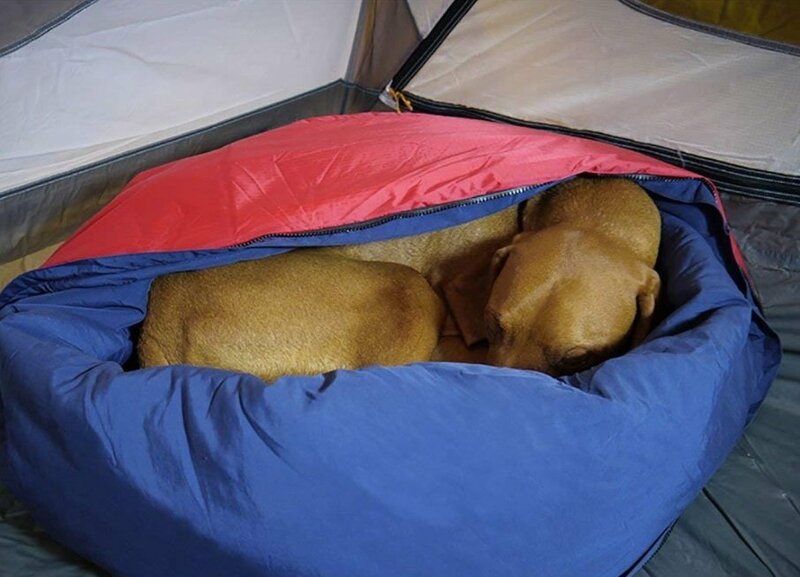 Additionally, this camping dog bed is designed for comfort and strength. It's soft to touch but durable, made to handle rough terrains. It has a quality poly-suede surface and double offset quilts. The design features a water-resistant liner which ensures the pet is comfortable all through and repels moisture. With this, you do not have to worry about spills and accidents when the dog uses it. One thing that makes this dog sleeping bag ideal is the fact that it can be washed in the machine without losing its shape and quality. The material selection is of premium quality to resist dirt, and hence there is no need to clean it up regularly. The sleeping mat comes in a one size fit all - so regardless of the size and breed, measuring 30" x 39" it easily accommodates small, medium, and large pets. One of the highlights you cannot overlook about the sleeping dog is the built-in loop. It comes in handy when cleaning the bag making it easy to hang as you air dry. The mat is quite breathable, and that makes it suitable for both indoor and outdoor use, a must have for camping, car, RV and your home. This sleeping bag is designed for the dog that keeps up with adventure and loves to explore. The Highlands bed provides excellent warmth for your dog in cold weather, thanks to its high-quality insulation. Your dog will love the wide opening, it unzips about 3/4 of the way around, allowing you to get the dog inside and then zip them in remaining cozy and warm for the night. It is easy to pack and hence perfect for camping, hiking and other expeditions with your furry friend. The sleeping bag has a lightweight synthetic material which helps to provide the warmth for the dog. Additionally, the bag offers a comfortable sleeping area which protects the dog from hard surfaces. Therefore, it works well as a resting bag for the indoors or as camping essentials in the outdoors. The durable polyester fabric shell is water resistant and easy to clean. Another clever feature is the small pocket on the underside. You can easily place a small sleep pad to give an extra layer of both comfort and insulation from the ground. The bag is large enough to suit most dog sizes and comes in a highly visible meadow green color. It measures about 35 inches by 26 inches with a one-inch loft when laid out flat. It has a stuff sack where it can be rolled back to fit it and weighs 12.7 oz. This comes in handy when trying to save space for a trip and still need the sleeping bag for your pup. If you are looking for a durable sleeping bag for your dog with some extra space for other items such as a sleeping mat, then this may do the trick! This sleeping bag is the ideal solution for the dog’s outdoor needs. It is designed to provide the comfort and warmth needed out in the cold while maintaining its quality thanks to its synthetic insulation. The bag is designed using quality material that holds up well on regular use. Also, it is easy to clean and maintain with minimal care. The camping bed is available in three sizes: small (19" x 23"), medium (20" x 27") and large: (24" x 36"). It is extremely lightweight and weighs only 1.33lbs and is easy to pack and stuff it in with your bag. This bag receives high ratings and comes highly recommended for camping trips. The top of the bag is completely removable. You only need to zip off the cover all round to get it off. It makes it easy to clean and roll it back for regular use. This bag is simple to carry around with the rest of your stash for an outdoor moment with your pup. It takes up limited space for storage which is crucial when traveling with a dog and you're backpacking or hiking. Simply unroll it and roll it back each day as and when needed it. The Explorer is a highly convenient and functional dog sleeping bag that is good value for money. The functionality of this dog sleeping bag is top-notch. 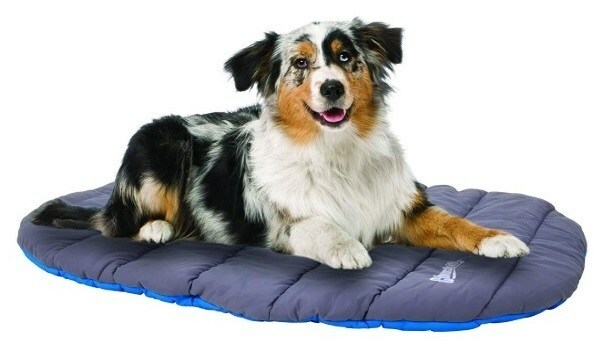 It is designed as a portable bed for your dog which makes it ideal for camping, hiking and other outdoor activities. The design stands out from most other dog beds. 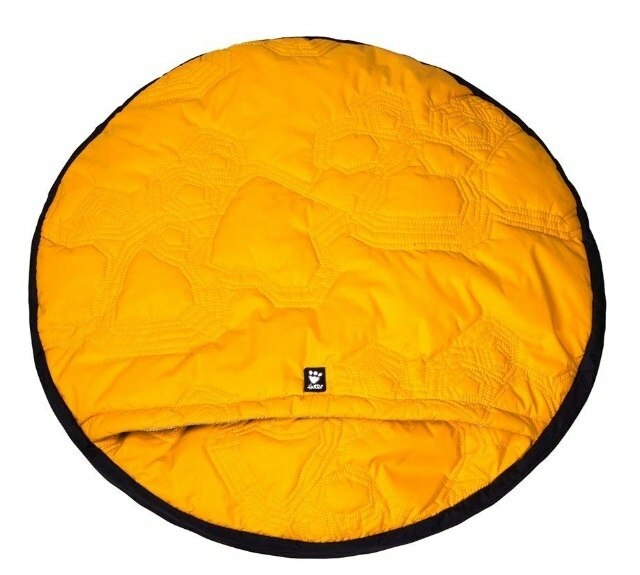 The circular shape allows your dog to curl up natural and keep warm. 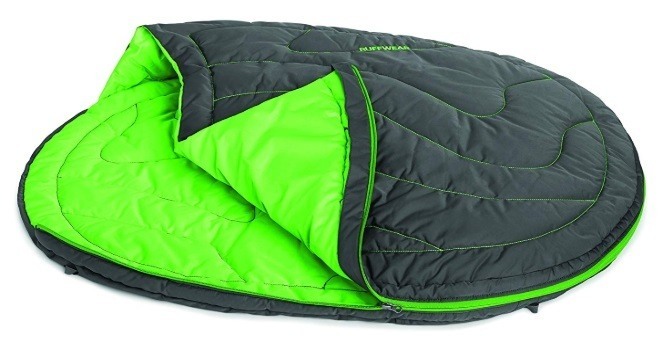 This sleeping bag can also function as a sleeping mat in and out of the house. It has a heat reflecting foil on the inside which comes in handy to provide and save the warmth for the cold nights outside. With this sleeping bag, you will not have to worry about your buddy freezing up on a fun adventure. The Outback dreamer bed comes in three different sizes Small 4 x 6 x 14 inches, Medium 5 x 7 x 15 inches and Large 6 x 8 x 16.5 inches. A great deal of the reviews focuses on the fact that the dogs love it and remain snug and warm. More on the design, the sleeping bag has water repellent for extra protection. It's shaped better for backpacking since it is lightweight, and its compact size allows easy packing and carrying. Also, the material is highly breathable for the dog's comfort and warmth in the outdoors. It can be washed in the machine and has a travel bag for safe storage. One of the more expensive sleeping bags, but it's worth it! This is another great product with numerous 5 start reviews - it combines the advantages of a sleeping bag and a day bed for your dog. It has a Taslan nylon liner that is highly breathable and fast drying. The liner is of high quality like regular cotton keeping your pup comfortable all through the night. The Nomblecamper 2-in-1 dog bed has poly-fill high loft insulation that helps to keep the dog away from the cold floors and other surfaces. The additional nylon shell material is designed to last long while remaining dry; thanks to the water resistance feature. The bag has three loops which come in handy when you want to secure the bag on the ground or when drying/ airing the bag. The sleeping bag comes with a stuff sack which helps to store the bag easily and is available in different sizes. Being a 2-in-1 sleeping bag, it is perfect for outdoor and outdoor use. With this, you do not have to worry about packing an extra need for the comfort of your dog. Again, the design allows both functions without compromising on quality. All these top picks come highly recommended, but if you are looking for added functionality the 2-in-1 Noblecamper dog sleeping bag carries the day. It comes in handy when packing for a trip and works as a dog bed for the day and a sleeping bag for the night. Also, it is designed with quality material that stands the test of time.